The Blytheville Fire and Police departments are continuing to reap the benefits of the 1/4-cent police and fire tax passed in 2009. With the help of Burlington Northern, the city of Blytheville is tackling some of the drainage issues in town by cleaning out the ditches. Mississippi County has stopped payment on hangar rental for Aviation Repair Technologies (ART), located on the Arkansas Aeroplex, because of the company's continued inability to meet the requirements of its economic development contract. Before Mayfest cranks up on Saturday, the event officially kicks off tonight with the annual Music on Main, which will feature live music, a silent auction and food and drinks -- all in 1950s-inspired sock-hop style. When I was headed to the golf course on my golf cart Wednesday afternoon, I cut through Sarah Austin's yard like everybody else who lives in the Golf Links subdivision does, since it's the only way through and has a nice little paved path through her back yard to the No. 12 fairway. 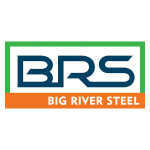 Members of the Mississippi County Quorum Court's Planning and Development committee agreed Thursday to reaffirm the county's commitment to the Big River Steel project.